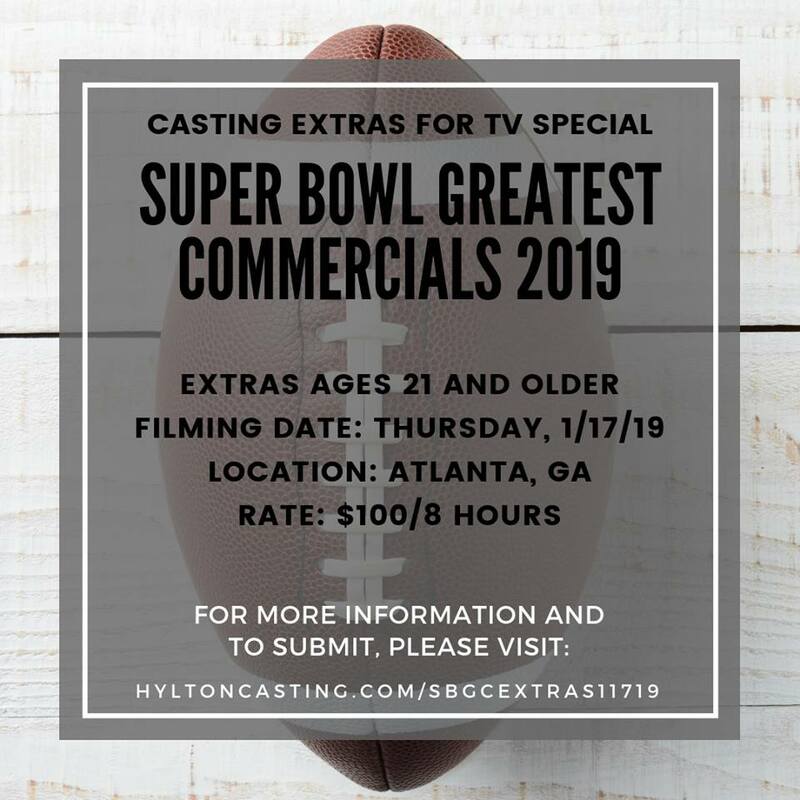 Hylton Casting is casting extras for the taping of the TV special Super Bowl Greatest Commercials 2019 filming in Atlanta, GA on Thursday, 1/17/19. If you are interested in working as an extra, please review the breakdown below and submit your information. -This is expected to be an afternoon call time. -You should expect approximately 8 hours of filming. -Call time will not be provided until the day before the filming date. Please do not submit if you do not have open availability for the filming date listed above.